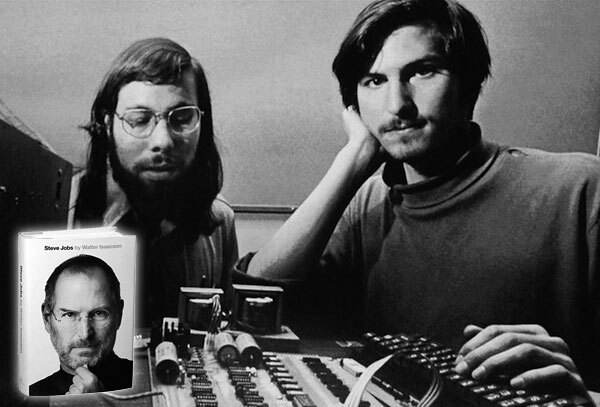 In his new Steve Jobs biography Walter Isaacson describes how apart from building electronic devices, it was their passion for music that brought them together. It was around 1970, at an "incredible time for music", as then 15 years-old Jobs recalled in an interview with Isaacson. "Woz" seems to have directed Jobs' musical interest towards Dylan. He describes how they had tracked down one particular Dylan enthusiast who not only had put out a newsletter, but also owned an extensive archive of bootleg tapes of Dylan concerts. Just to put this into perspective: The first ever Rock bootleg record, "The Great White Wonder" had just been released about a year prior to that. The two Steves, who later changed the world of personal computers and entertainment technology by founding Apple Computers, started off as Bob Dylan bootleg collectors! Jobs proudly remarked that he owned "more than 100 hours, including every concert of the '65 and '66 tour." While Jobs gained creative thoughts through Dylan's song lyrics, Woz used his tape deck at low speed to record more concerts on one tape. They both stayed up late listening to and interpreting the magic words coming out of their self-assembled speakers.